Around 2,000 members and leaders of the Pathfinders Club in the Northern Asia-Pacific Division (NSD) church region of the Seventh-day Adventist Church met at Taiwan Adventist College for the 2nd region-wide Pathfinder Camporee, from August 8-12. Under the theme “Contact+, Experience Jesus,” members traveled not only from across Taiwan but also from Japan, Korea, China, Mongolia, Philippines, Indonesia, Malaysia, and others. 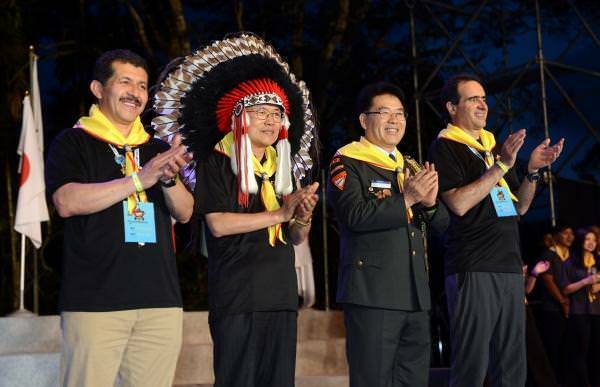 And just like what happened at the first NSD camporee, many Pathfinders came from outside the NSD territory, including United Arab Emirates, United States, and all the way from Brazil. Sabuin stressed the importance of personal contact with Jesus Christ, illustrating his sermon with the fascinating stories of Nicodemus, the Samaritan woman at the well, the Roman centurion, and Apostle Paul. The common thread? “All of them had personal contact with Jesus and were transformed,” he said. Every evening, the program began with a parade of the various groups taking part in the event. When 230 Chinese delegates entered the stage, all the participants welcomed them with a long applause. The daily video sketches, produced by the Chinese Hope Channel, shared a daily report of the day’s activities. 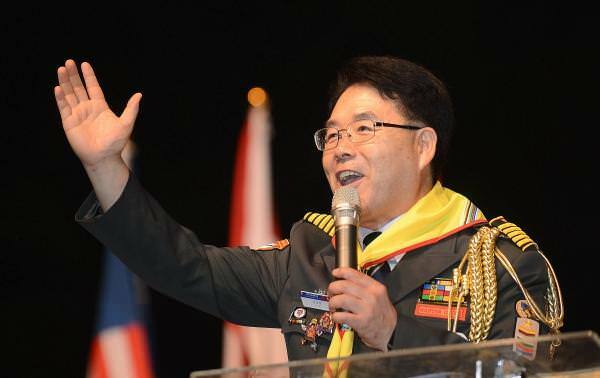 The Camporee flag was given to the Korean Union Conference, that will hold the next NSD Pathfinder Camporee in South Korea. 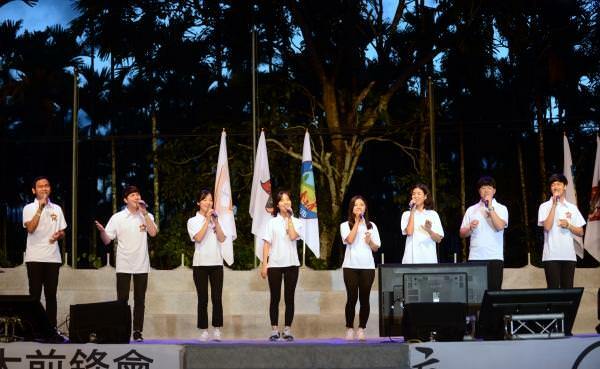 Young Adventist participants indicated that they were leaving the event with happiness and gratitude to God, as they enjoyed a magnificent fireworks show that filled the Taiwanese night with multicolored lights. 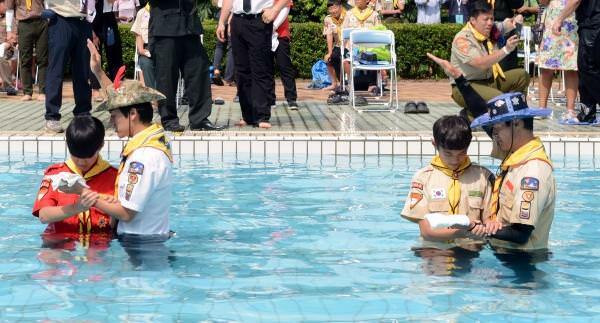 “We are already looking forward to the next camporee,” they said.